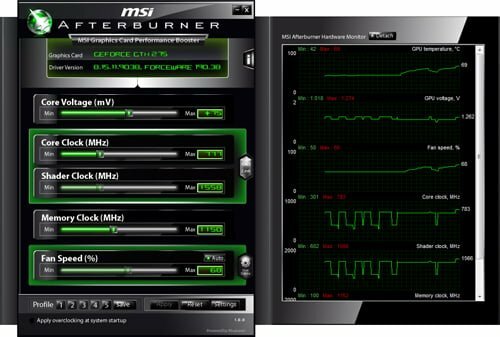 The world-leading graphics card and mainboard manufacturer, MSI, today announces all-in-one graphics card tweak utility “Afterburner”. 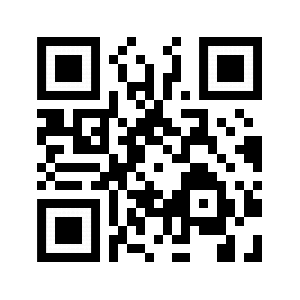 All MSI graphics card users can download it for free on Afterburner website today. The powerful overclocking, tweaking, and monitoring features of Afterburner are incomparable among competitors. The MSI graphics card users can immediately enjoy the overclocking performance and tweaking pleasure brought by Afterburner now. Afterburner fully supports the GPU/Shader/Memory clock adjustment of NVIDIA and ATI graphics cards. Beside general overclocking features, Afterburner has the exclusive over-voltage technology, which supports NVIDIA and ATI high-end product-line and MSI award-winning Lightning series. With these graphics cards, the extra over-voltage function will be activated, and can highly boost the graphics card overclocking capability and make the games runs more smoothly. According to the internal test result, MSI N275GTX Lightning core clock can be overclocked to the awesome 1175MHz and reached the unprecedented 85% overclocking capability. In addition, Afterburner has exclusive advanced fan speed control feature. Generally speaking, fan speed of a normal graphics card is fixed by BIOS, but now users can customize different fan speed under different temperature trigger points with this Afterburner exclusive feature, so it can be set depending on users’ favor and hardware configuration no matter in necessity of higher cooling efficiency or a quieter operating environment. With highly acclaimed MSI Twin Frozr and Cyclone thermal design, the high flexibility of Afterburner Advanced Fan Speed Control feature can be more highlighted. To show the graphics card operating status more accurately, Afterburner provides a complete monitoring function: all important information including the GPU core clock, memory clock, temperature, voltage, and fan speed have a real-time on-screen-display monitor in games and real-time information in Windows Tray Icon. And in the monitoring window the maximum/minimum value can be easily recorded and enables users to know well the graphics card condition and change different settings according to this information. All the adjustment above can be saved as 5 profiles in Afterburner, users can quickly switch to different settings with hotkeys. Afterburner can even automatically switch to different profiles between 2D and 3D mode so that users will have a quiet and cool environment in Windows and high performance in 3D games. It can always provide the best experience under both two conditions. From today MSI graphics cards users can download the latest version of Afterburner and discuss with worldwide Afterburner users in the forum. In the future, MSI will frequently update Afterburner to newer version to enhance its feature and stability, and then brings users the best tweaking experience and overclocking performance.